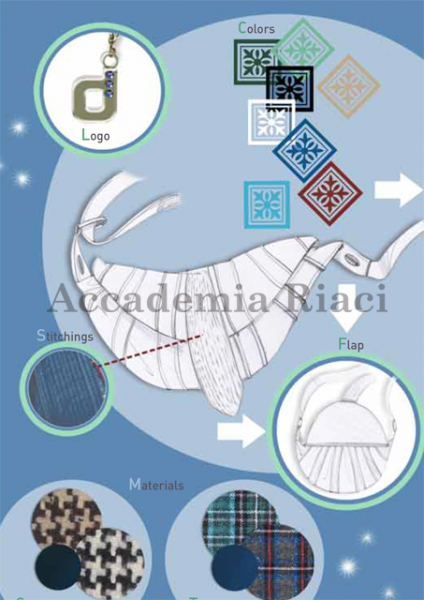 The curriculum includes all the necessary techniques of bag making, from the basic to high-level; rough sketch, pattern making and cutting patterns, skiving, edge maneuvering, decoration techniques using holes and accessories, combination of different materials, composing, sewing by machines, as well as purchasing materials at wholesale shops, in order to become a bag maker who can produce various types of bags. Students will also acquire general inter-discipline knowledge on art through basic art lessons (3D Drawing, Color Theory, Art History, Basic Painting) and Art-Visits outside of the classroom. 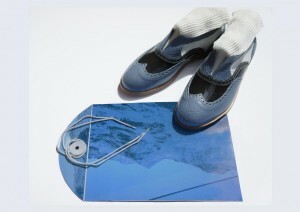 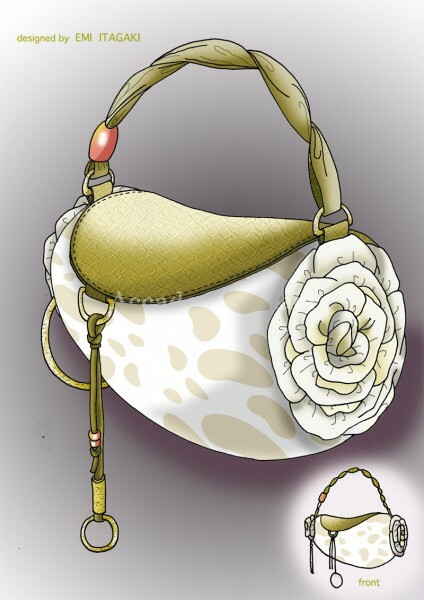 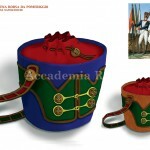 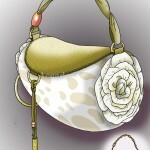 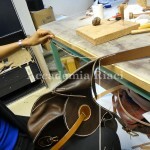 The curriculum includes all the steps of bag making, including material design, studying accessories, and bag making techniques for different scenes, with a focus on solid basic techniques. 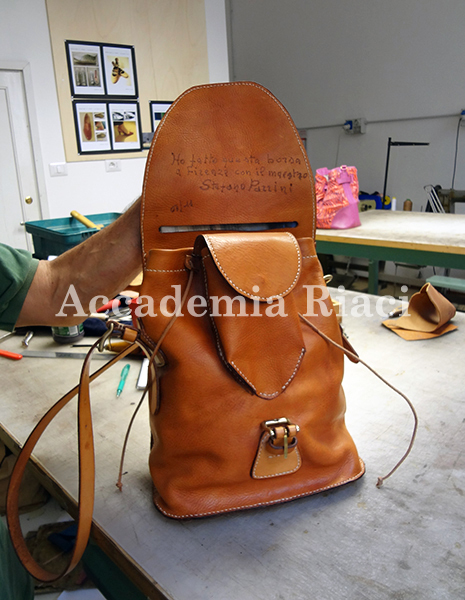 Students will complete a portfolio, at the same time of also acquiring general inter-discipline knowledge on art through basic art lessons (3D Drawing, Color Theory, Art History, Basic Painting) and Art-Visits outside of the classroom. 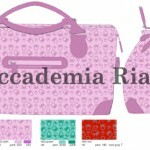 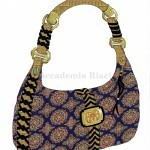 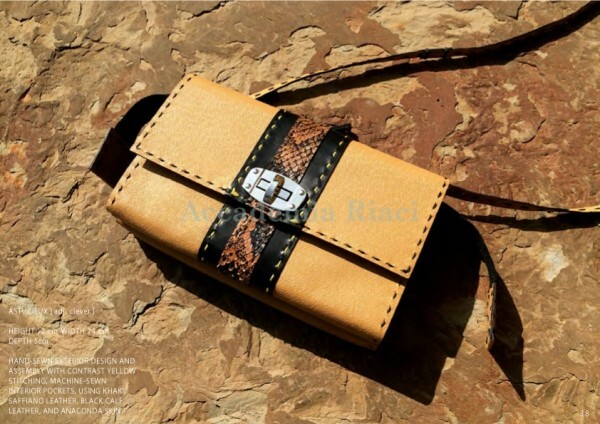 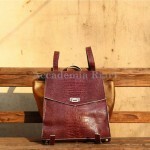 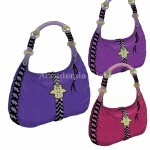 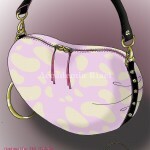 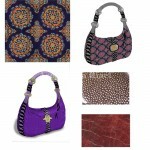 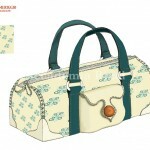 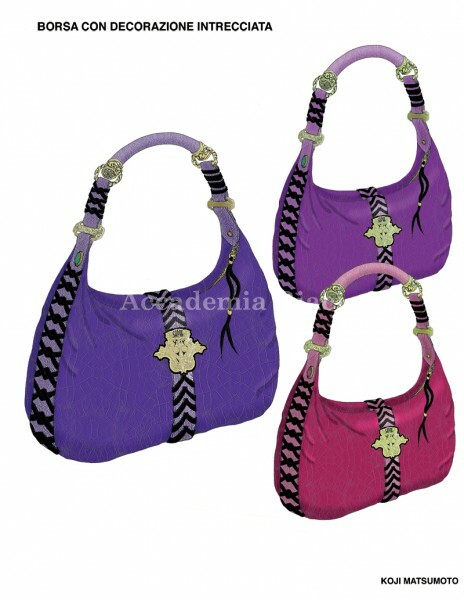 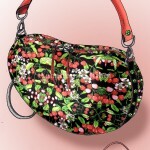 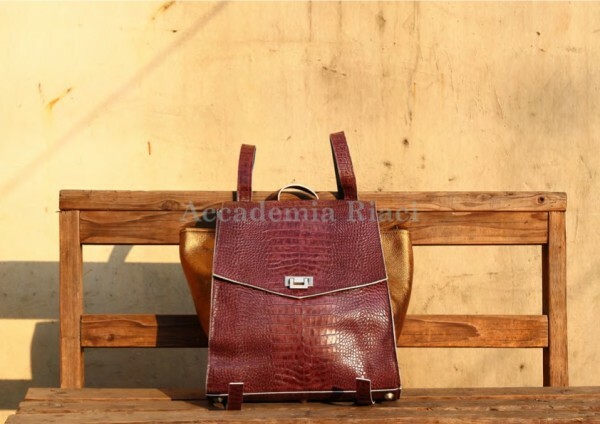 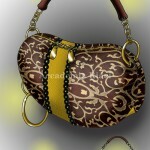 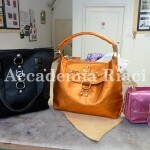 The program gives thorough and wholesome training to students so that they can become an independent bag designer. 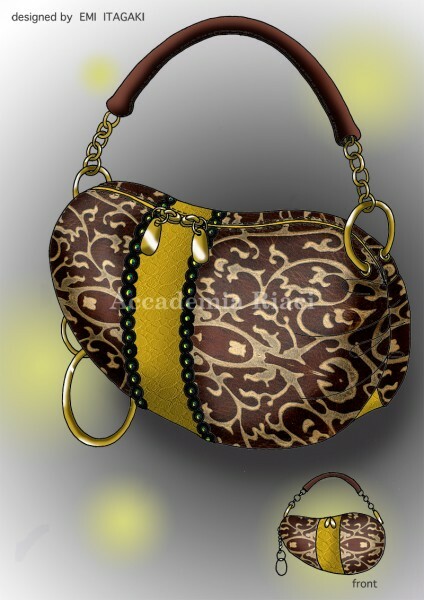 Through practical training and research on trend, forms, materials, functions, accessories, as well as designing textiles used for bags and composing them into the final design, students will build up solid knowledge and design techniques indispensable for a skilled designer who can turn any idea into sophisticated designs. 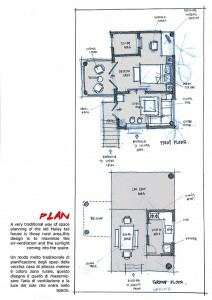 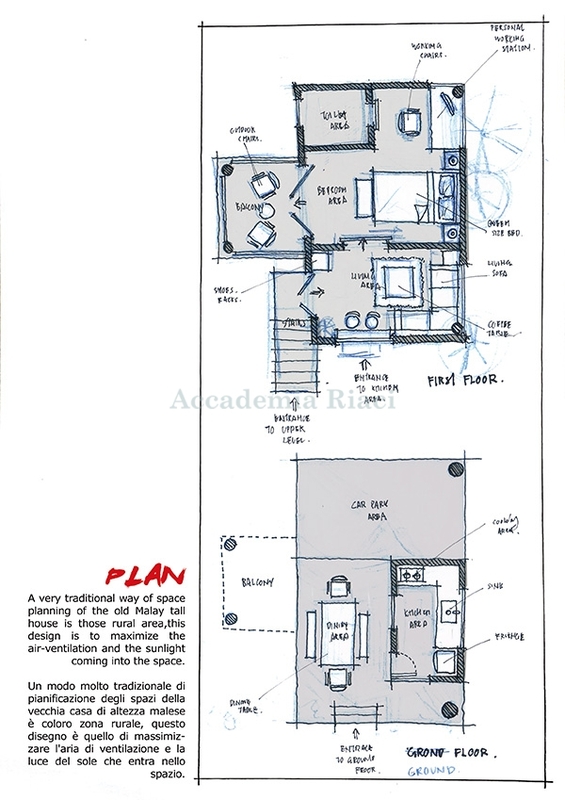 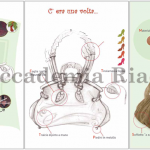 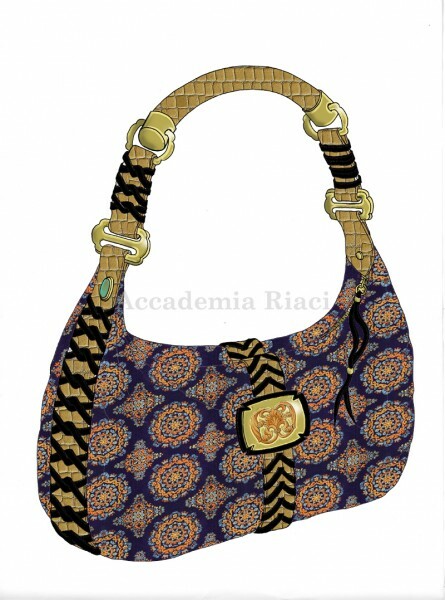 The curriculum includes illustration, sketch, rendering, design development by PC, pattern design, and brand design. 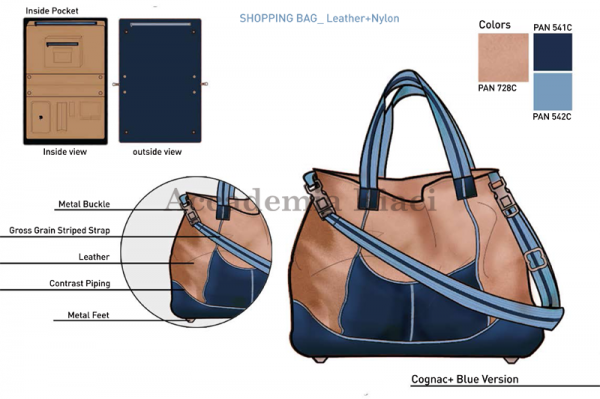 The course focuses on acquiring a solid basis of bag design from multiple perspectives, in order to answer various requests and different scenes. 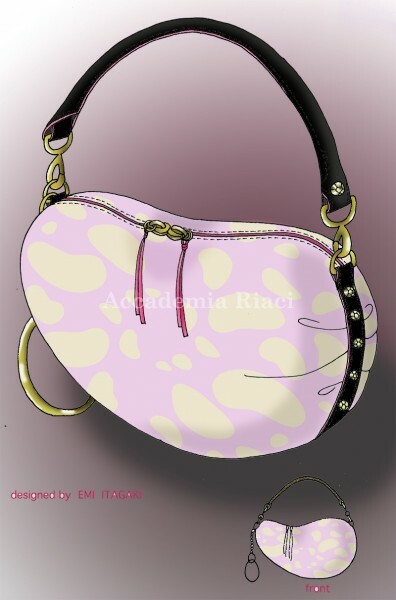 Students are encouraged to express their free inspirations into designs, taking into account market research and design tendencies. 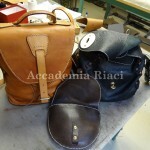 Accademia Riaci Master Course students will, after acquiring techniques of all types of bags, pursue more advanced techniques of bag making or bag design according to their research topic. 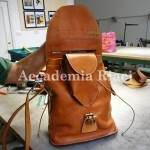 During the course, students will explore various aspects of bag industry, including expression of creativity and techniques in bag making/design process as well as the practical process of sales and business side, with emphasis on practical application of their study to the bag industry. 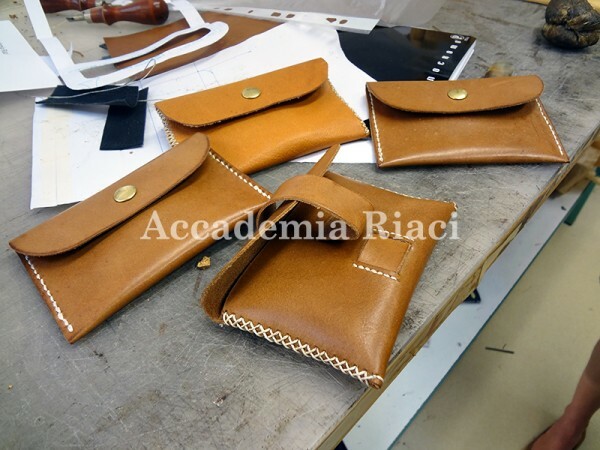 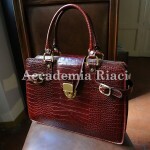 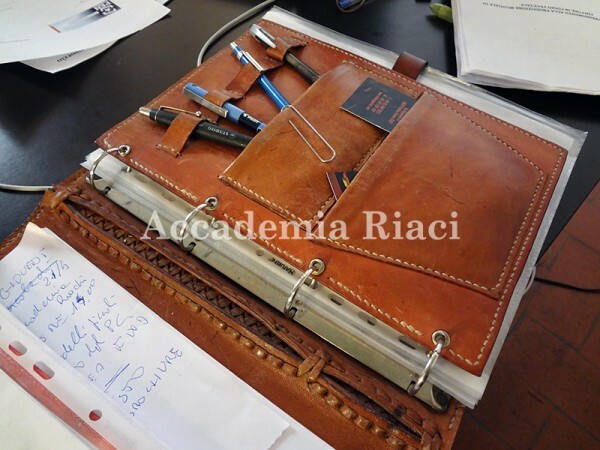 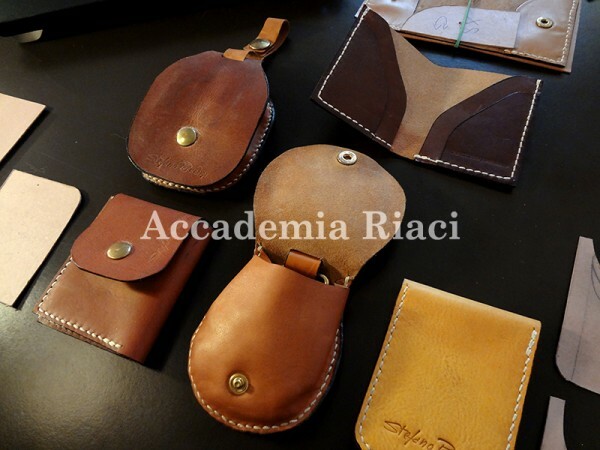 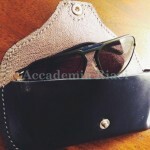 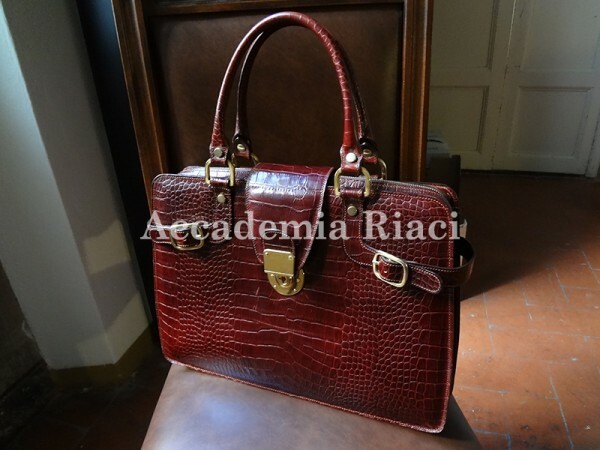 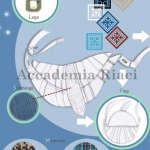 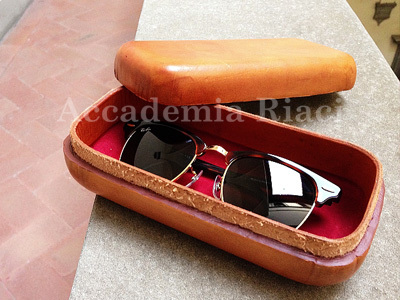 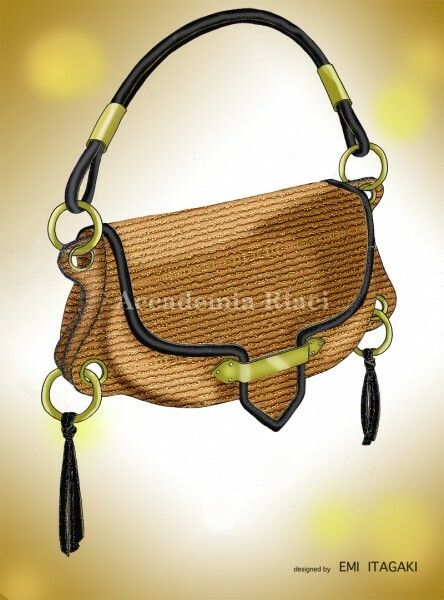 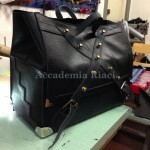 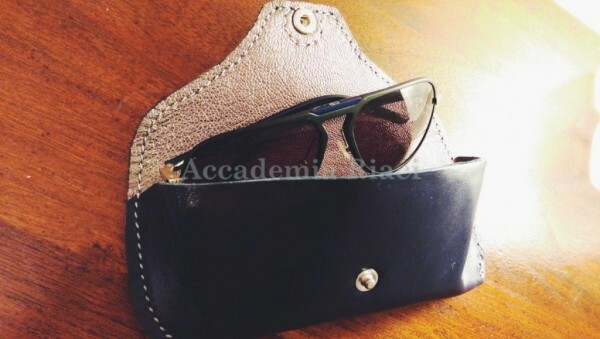 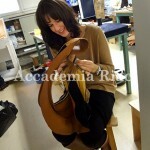 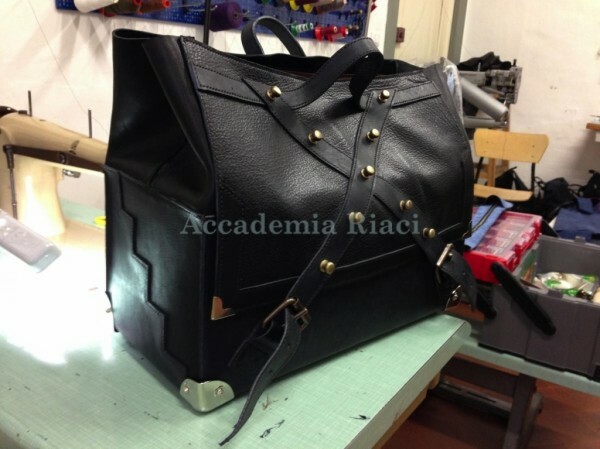 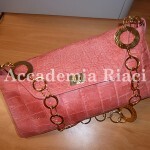 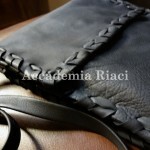 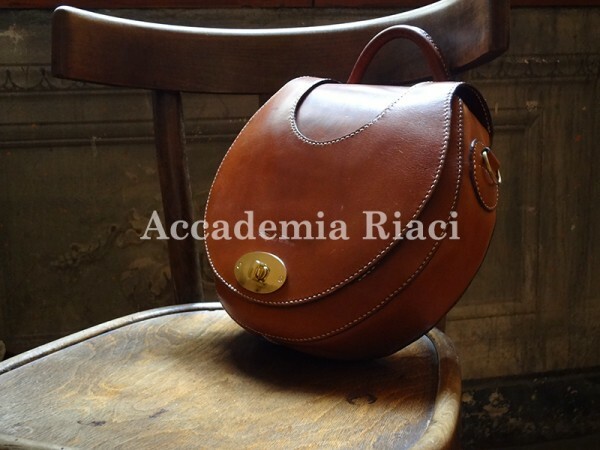 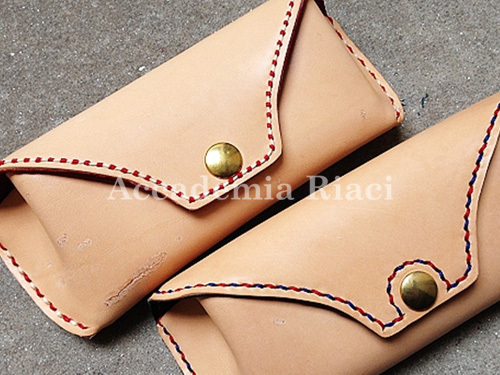 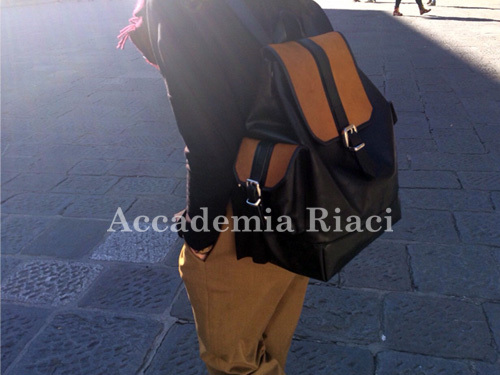 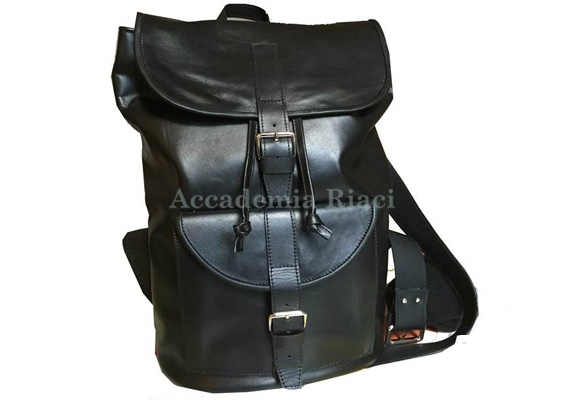 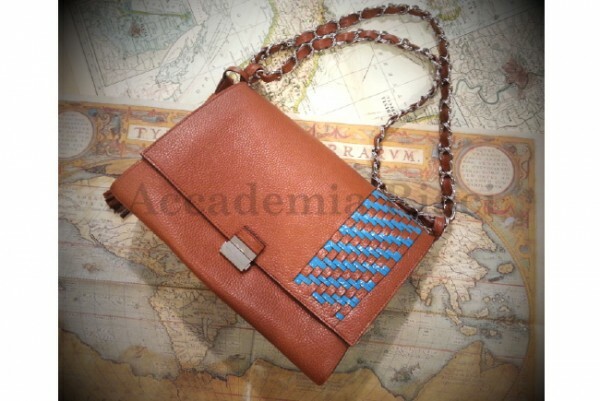 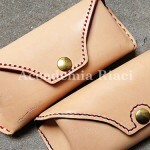 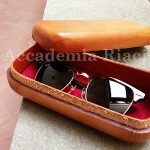 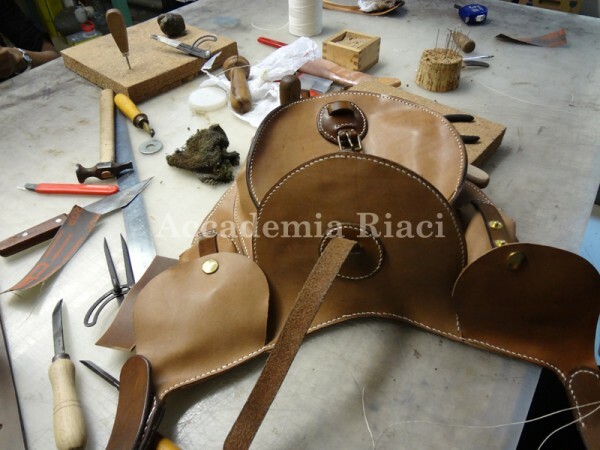 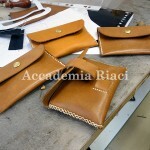 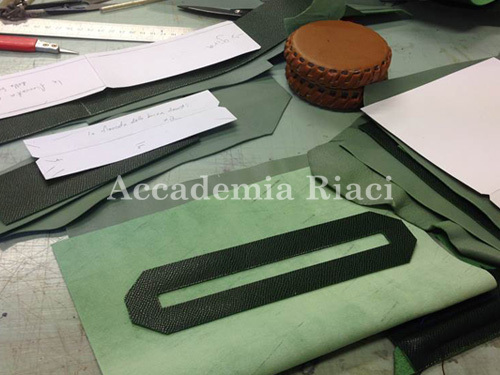 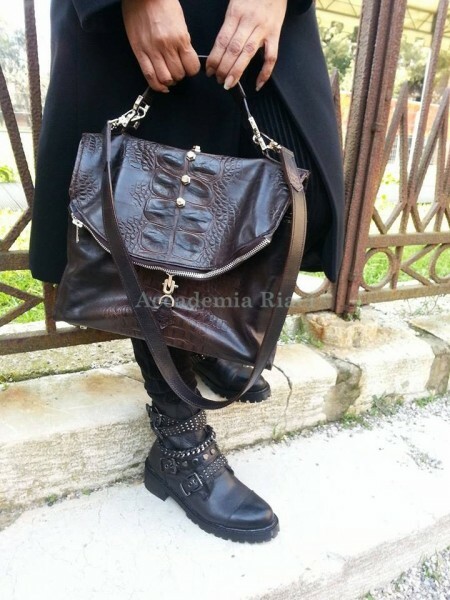 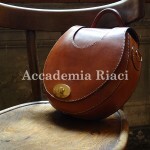 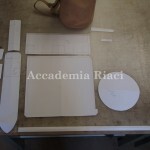 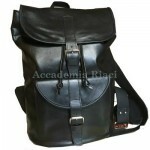 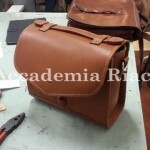 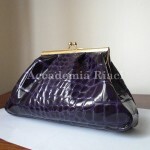 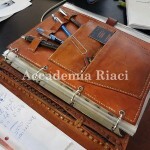 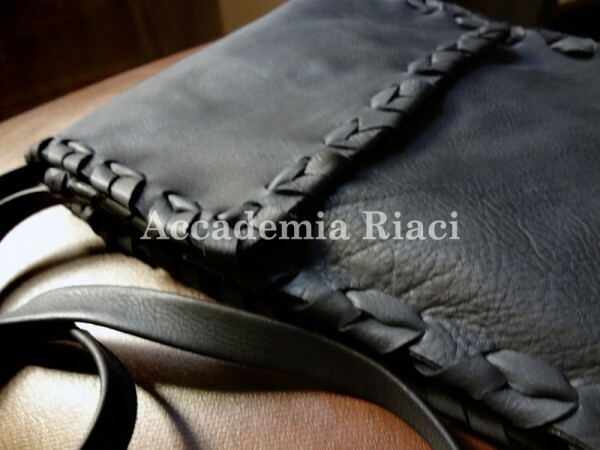 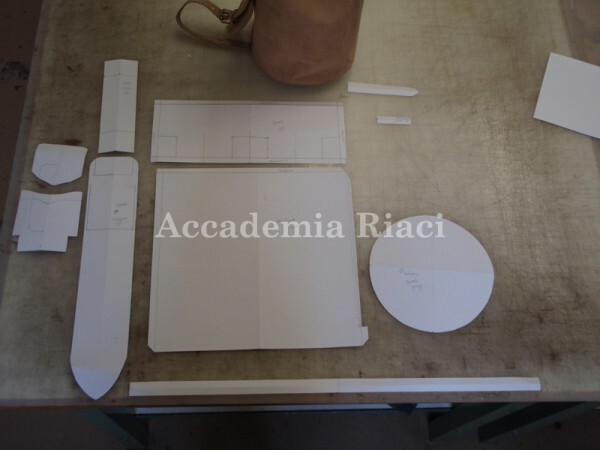 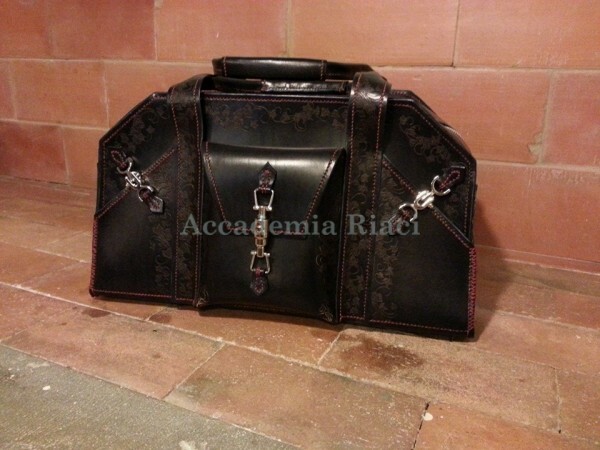 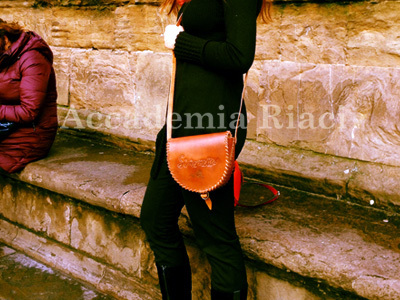 Accademia Riaci offers unique opportunities for students, thanks to its close relationship with leather industry. 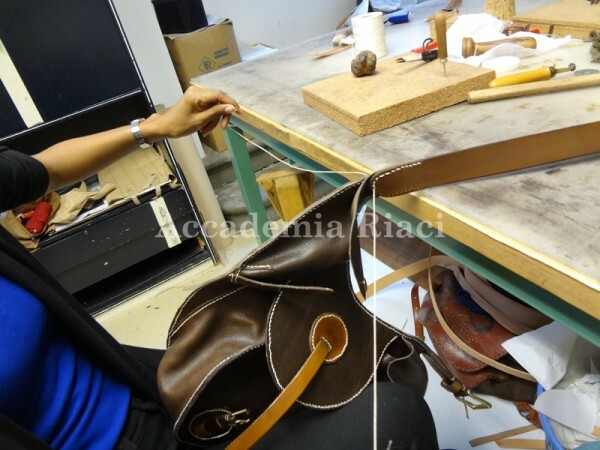 Students will have the chance to learn first-hand how bag production and bag design are realized through concept work-production-sales, by visiting bag factories, bag companies, designers’ office and showrooms. 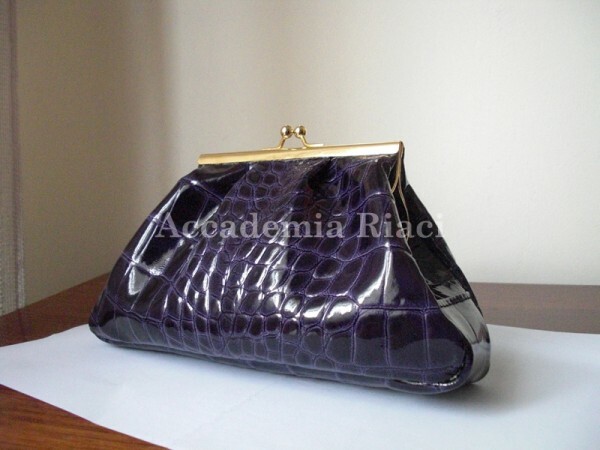 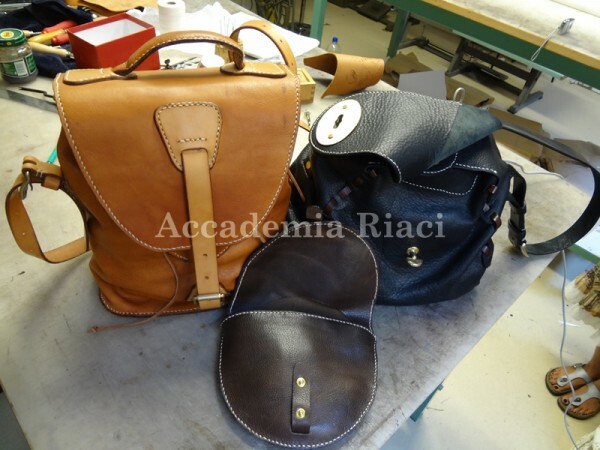 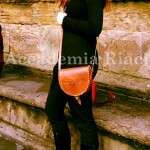 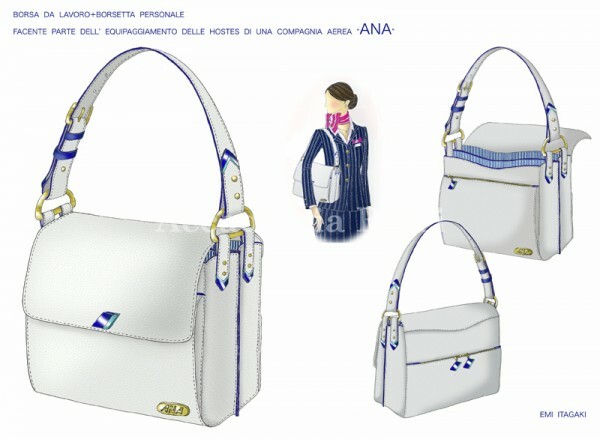 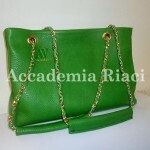 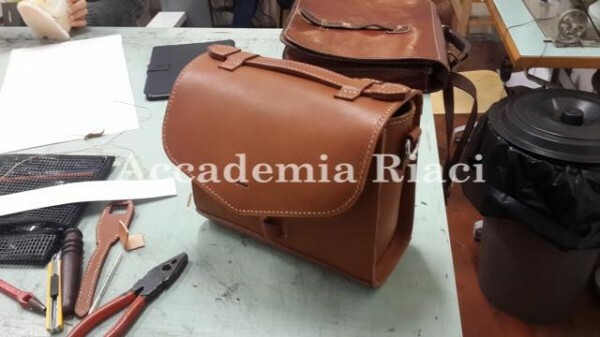 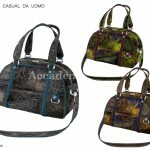 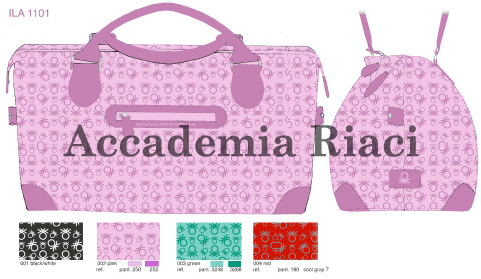 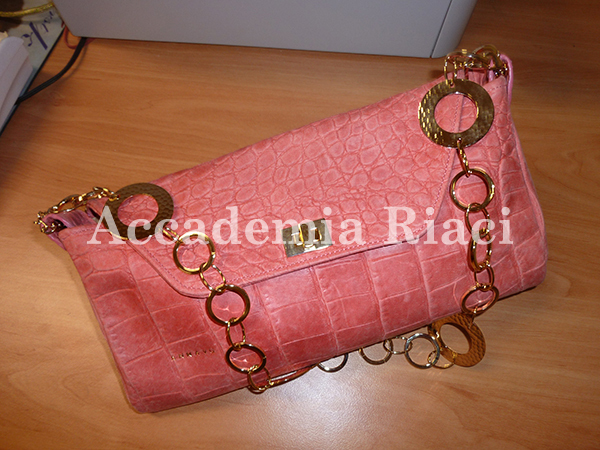 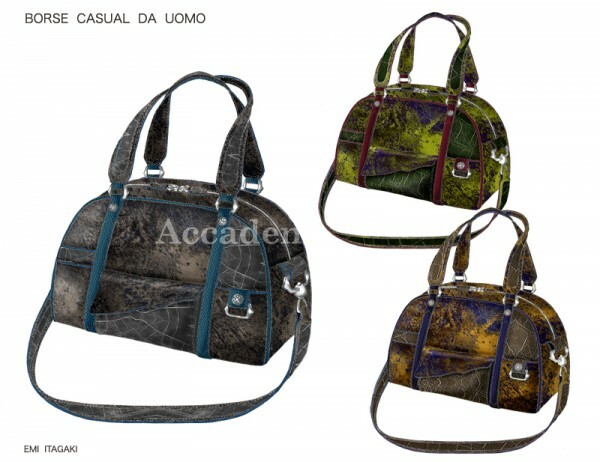 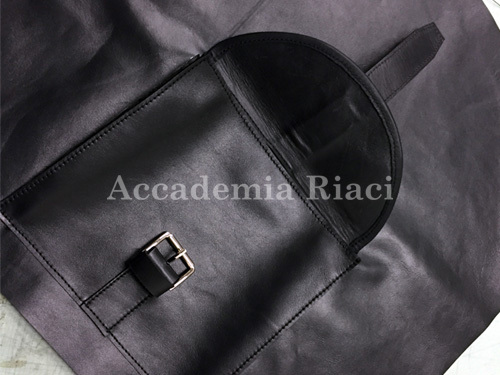 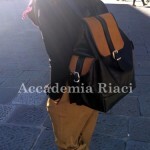 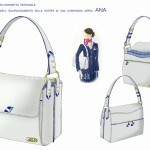 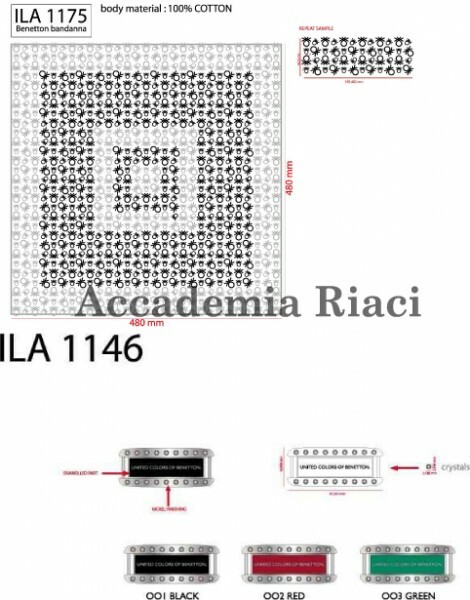 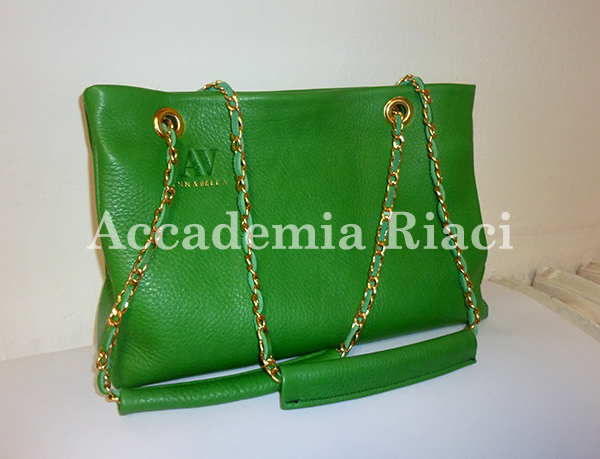 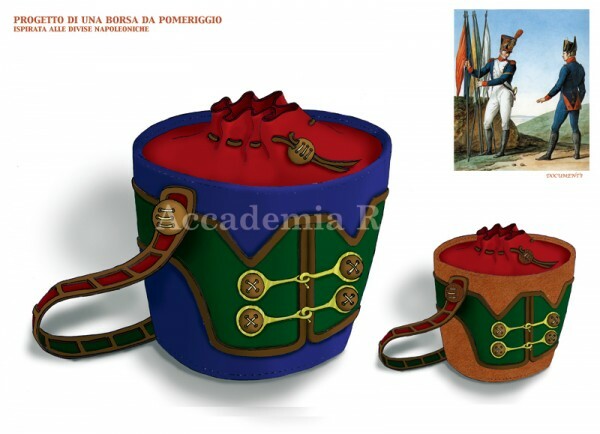 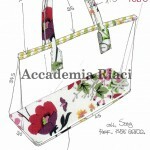 During the second semester of the course, students will work on “Corporate Study”, in which students can work on projects together with local companies/designers under supervision of the professor, to learn the actual production process in Italy, which is known for producing bags of the highest quality in the world. 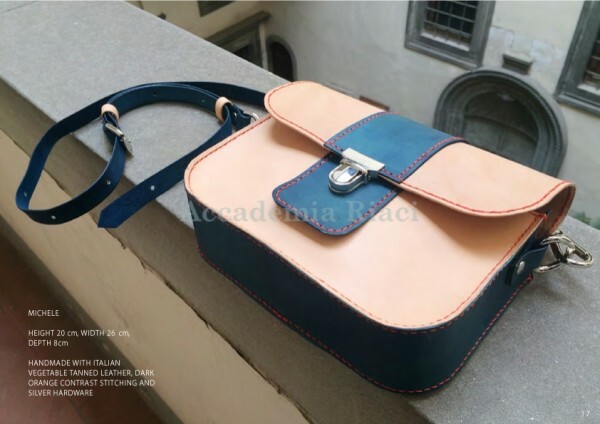 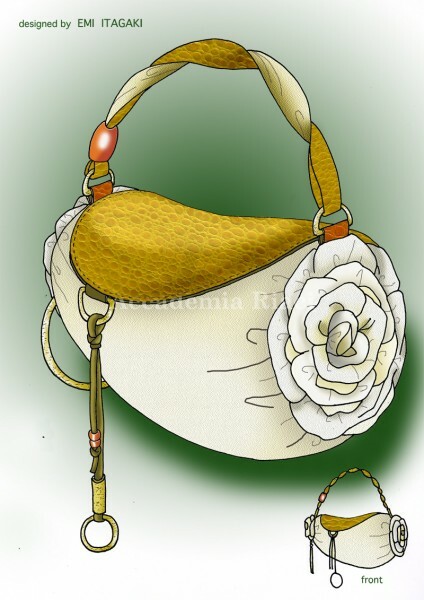 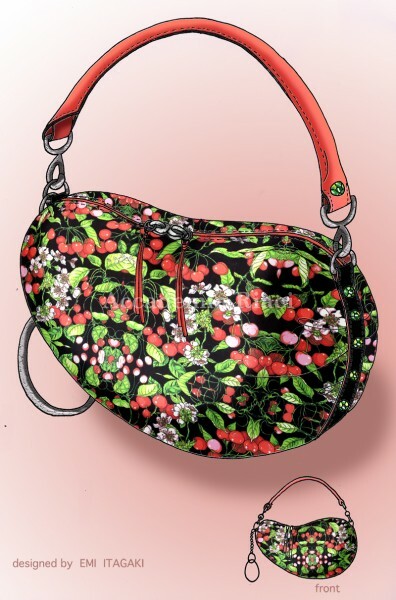 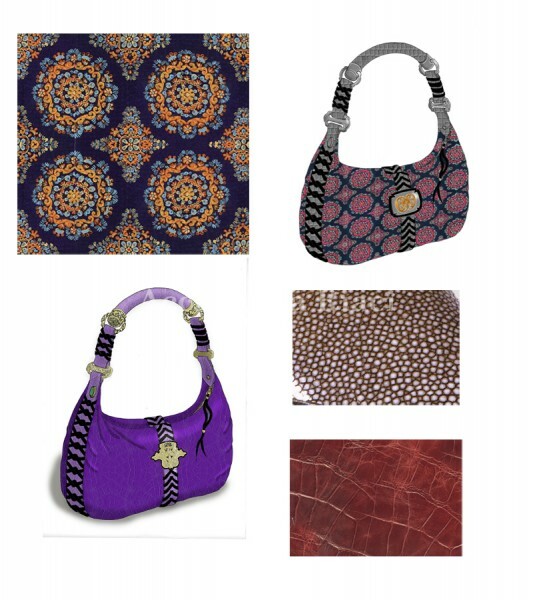 Students will learn all the steps of bag making one by one from Florentine bag artisans; rough sketch and design, cutting patterns, cutting leather, skiving, composing, sewing, and edge maneuvering, as well as accessories. 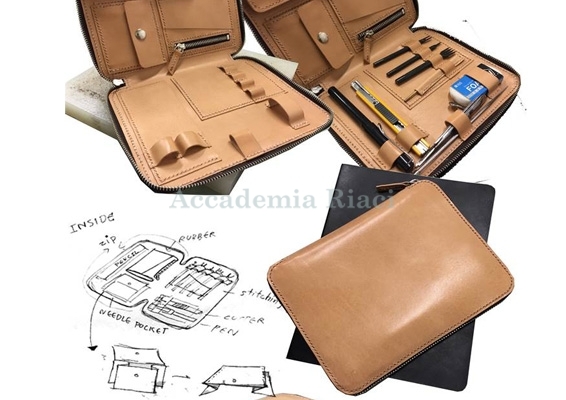 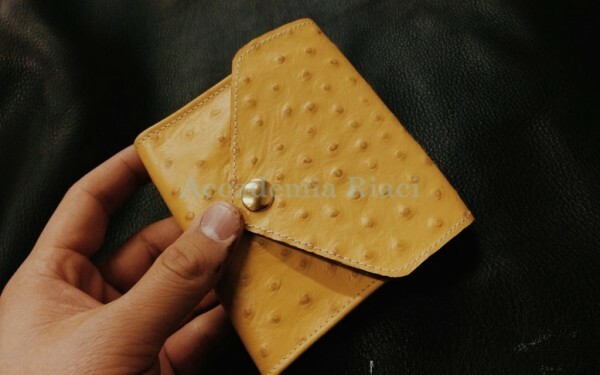 Beginners will start from simple objects such as small cases and book covers, and those with experience can make original bags, realizing various bags such as party bags, decoration bags, business bags, travel bags, pocket, pouch, backpack, body bag, etc. 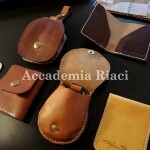 according to their period of study and interest. 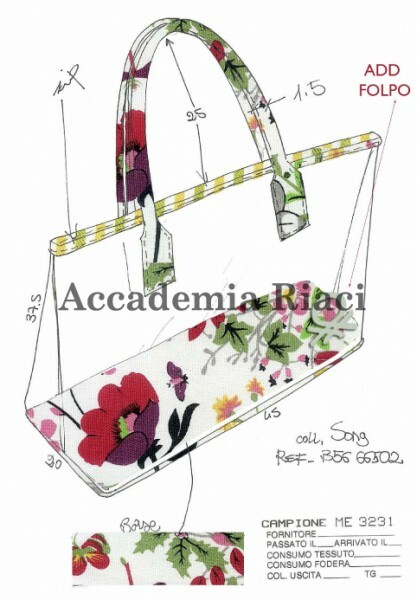 Students will learn bag design, color and decoration combinations, materials, patterns, functions and trend research and expression of originality characteristic to Italian bag design, as well as geometric design, realistic design, project design practice, and design development on computer, with ultimate focus on encouraging each student's uniqueness and expression of originality and free inspirations. 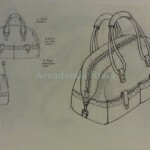 Beginners will start from basic bag design, rough sketch, and acquire indispensable bag design techniques and learn expression of their uniqueness through colorful and free inspirations. 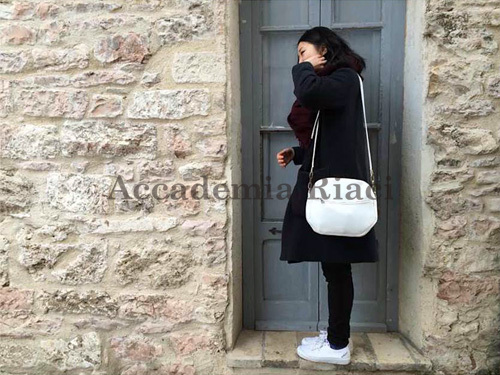 According to the duration and experience, students will finish various bag designs on their free inspirations, performing design development by PC, researching materials and technical functions, color and material variation, for different scenes. 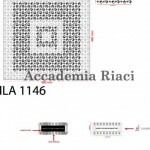 Contact UsItems marked with (*) are required fields. 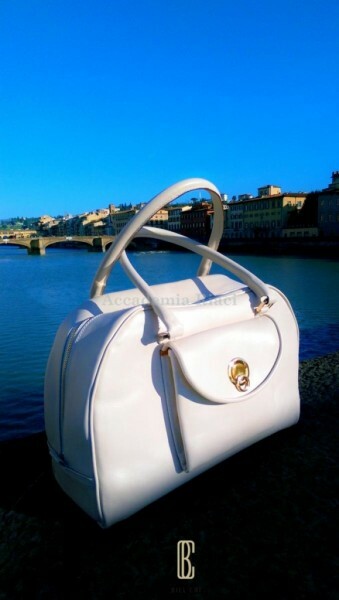 Italian leather handbags are known for sophisticated designs and top-level quality, represented by numerous top brands such as GUCCI or PRADA, to name a few. 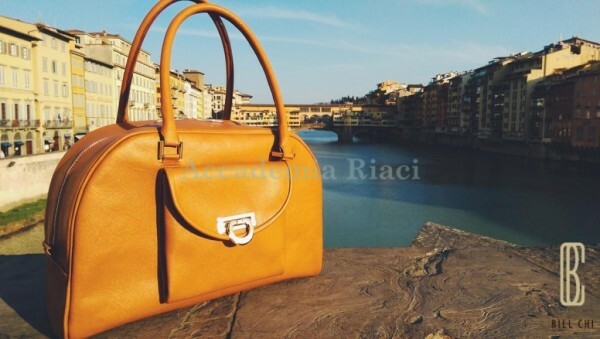 The streets of Florence are filled with leather shops, and headquarters of many world-class brands including GUCCI and Salvatore Ferragamo are based here. 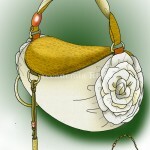 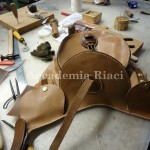 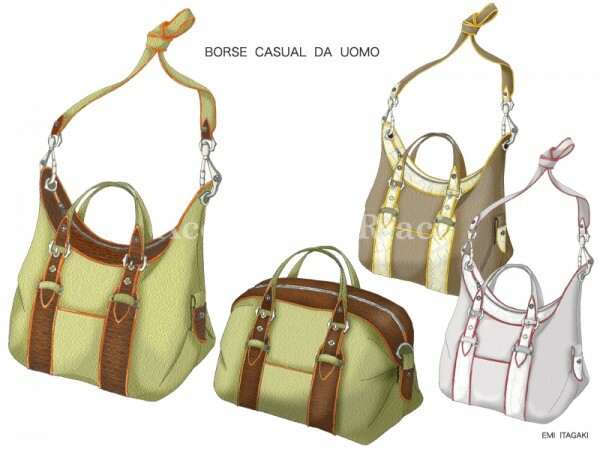 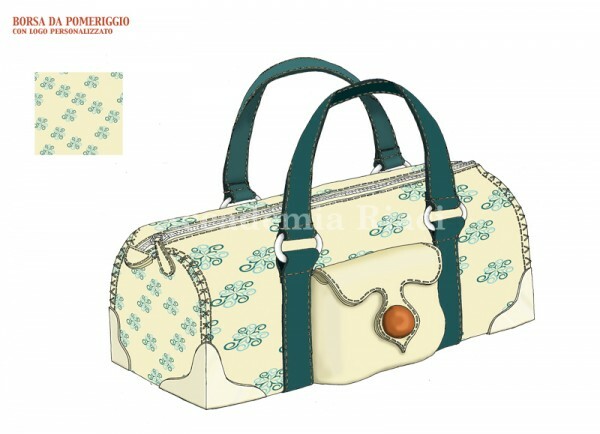 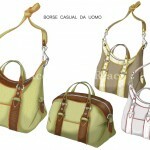 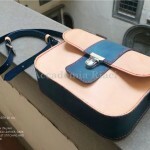 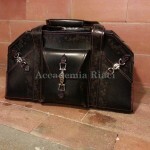 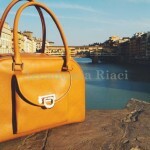 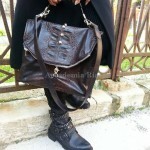 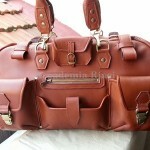 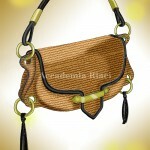 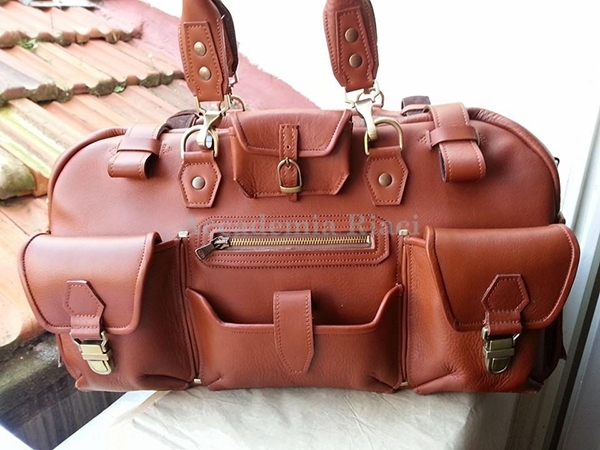 Such fame of Italian bags with the highest quality is maintained by the Florence craftsmen’s insistence on using the traditional techniques and the best materials. 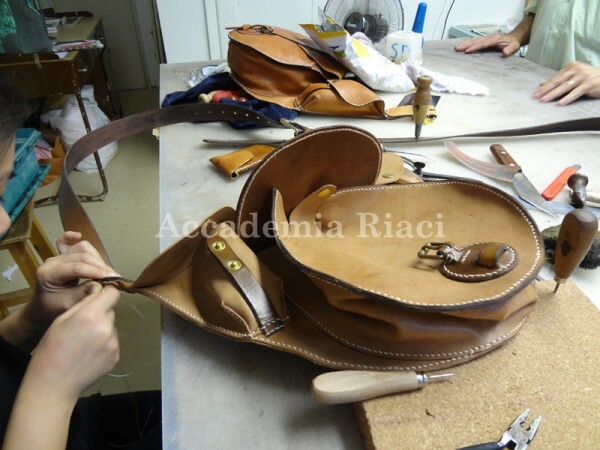 In our Bag Making course, students will learn from skilled Florentine artisans how to produce leather bags following the traditional rules of the “Made in Italy”. 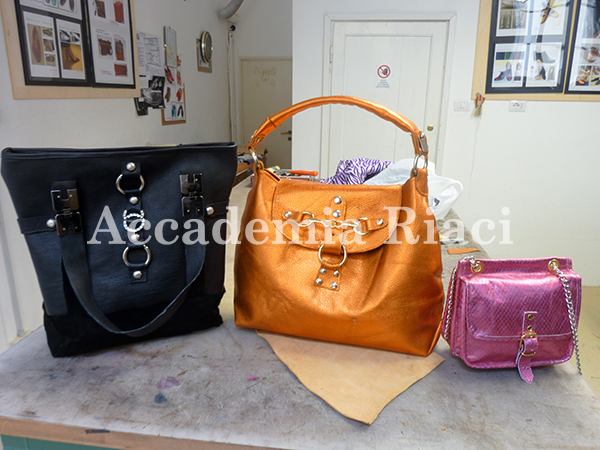 In our Bag Design course, students will study how to design handbags and purses following the Italian style, expressed by colors (new combinations, new decorations), materials (avant-garde application, new materials), patterns, functions, as well as researching the trends. 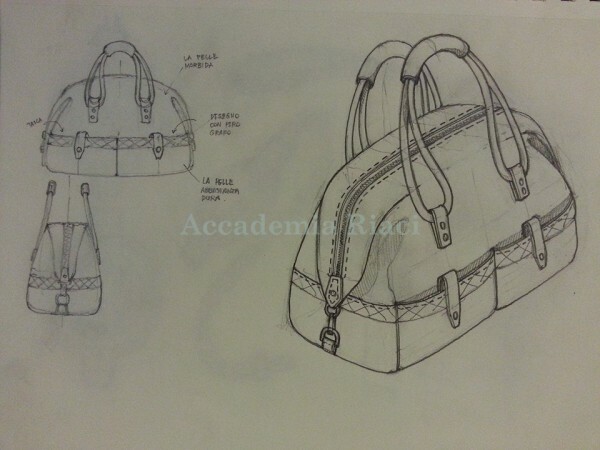 Students will also study geometric design, realistic design, project design, and design using the computer. 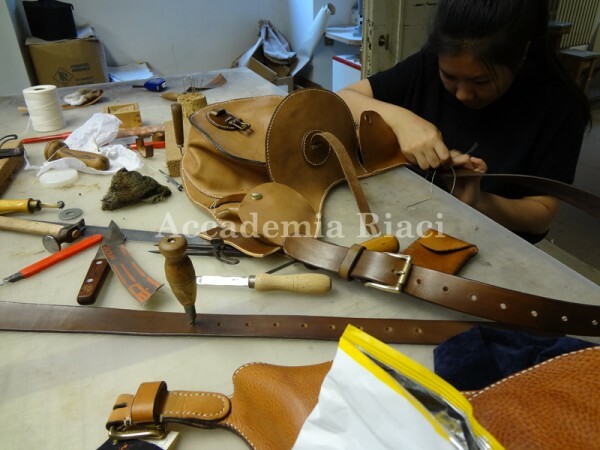 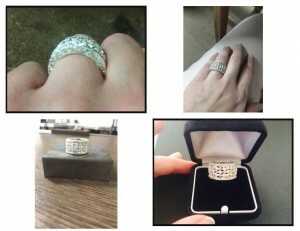 The program puts emphasis on encouraging each student’s uniqueness and to convey it in designs with original, creative, free and rich expression. 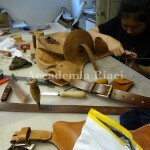 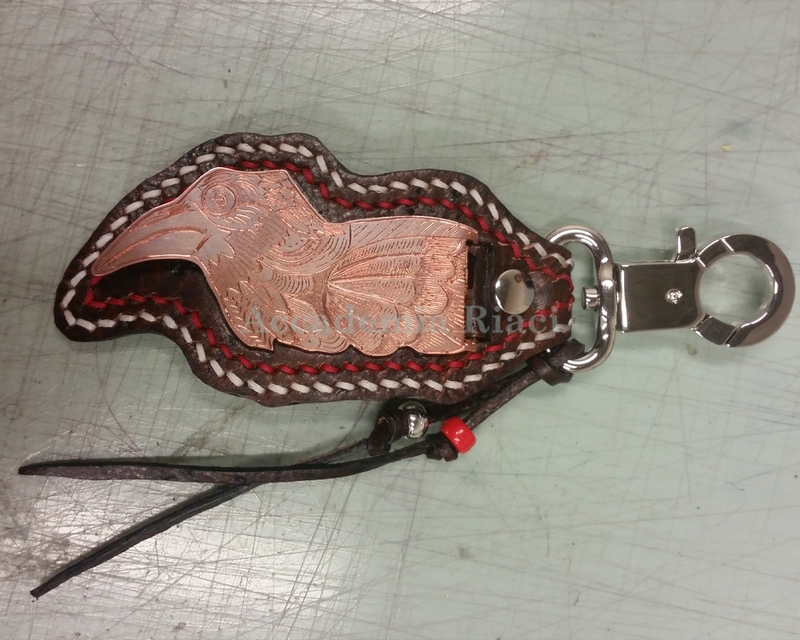 Leather art instructors are from families, who has been making leather goods for generations. 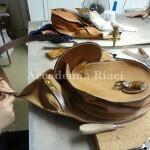 The atelier where classes are held is located in the area where aristocratic buildings are lined up. 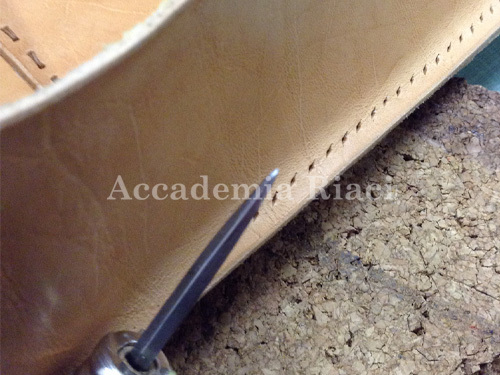 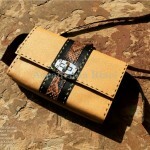 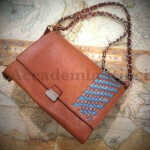 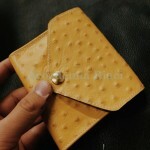 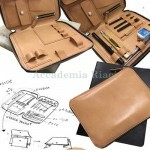 The instructor will show students every step of leather crafts in easy comprehensive manner. 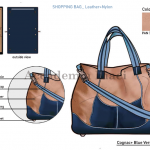 Design instructors will train aspiring designers and equips them with the technical skills needed to succeed in today’s dynamic design industry.